I only came across freekeh this year but it has now become a cereal we regularly eat in our household. Freekeh (sometimes spelt frikeh or farik/ farikah) is a Middle Eastern wholegrain. It is green roasted wheat and has a wonderful nutty flavour and it easy to cook. Freekeh is also high in fiber and protein so it’s good for you. 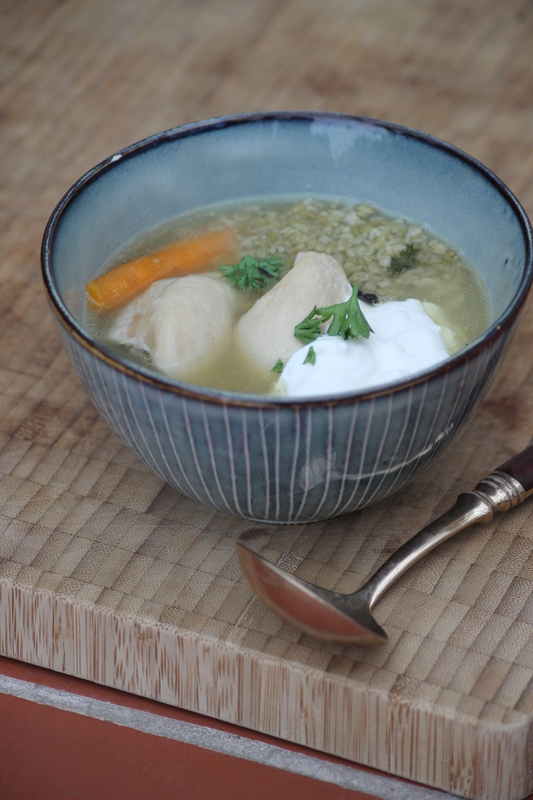 This poached chicken recipe is a perfect way of trying freekeh. It’s a easy one-pot dish to make for dinner, the chicken stays super moist and makes a nice light supper which feels super healthy. This recipe is inspired by a Moro recipe but I have changed it to make it a one-pot dish using chicken thigh fillets instead of a whole chicken as I feel it is easier and quicker to cook as a mid-week meal. My daughter likes freekeh but I would point out it stays slightly crunchy once cooked, so I would only offer it if your baby is fine with lumpy food. I cut the poached chicken in strips for her so she could have it as finger food which she devours! Place the freekeh in a sieve and rinse under cold water. Place all the ingredients in a large saucepan (apart from yoghurt and garlic) and cover with water. Cook on a medium heat for approximately 35 minutes or until the chicken is cooked through and freekeh no longer has much of a bite. Take off the heat and spoon out the peppercorns, allspice berries that should be floating on the surface. Dispose of the cinnamon stick as well. Prepare the accompanying yoghurt. Crush or grate the garlic and mix it in with the yoghurt. Take out the baby portions before seasoning the adult portions with salt and pepper. Laddle some freekeh, pieces of chicken , carrots and stock in a bowl to serve. Serve with a spoonful of garlic yoghurt and some freshly chopped parsley. Mash the carrot, and mix with the freekeh. Mix in some plain yoghurt. Cut the chicken in strips and serve as finger food. Next Post Why can babies not have honey? 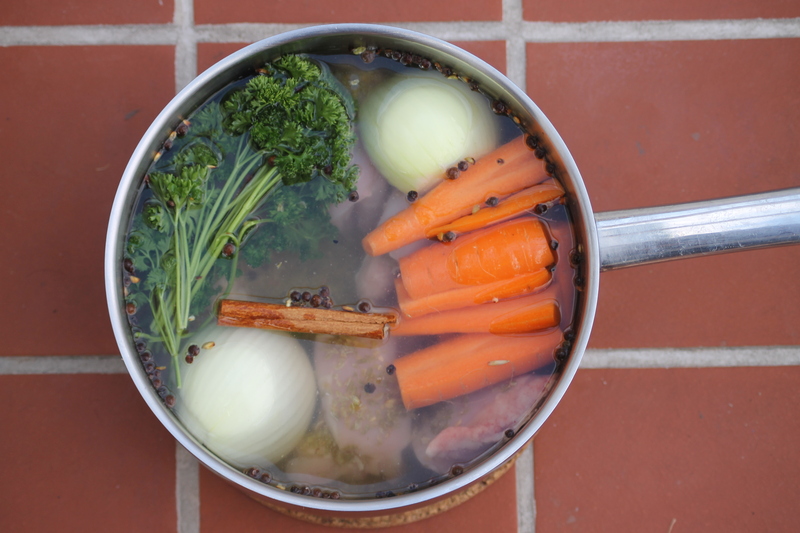 Pingback: Illustrated Guide to Life | What healthy food will get you through Winter?